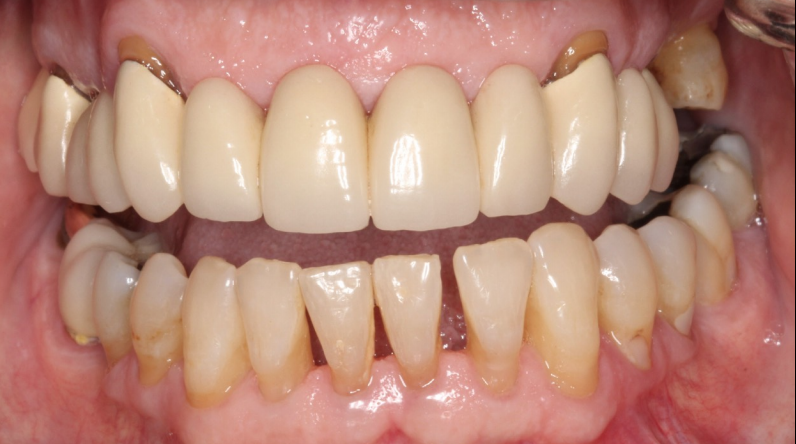 This patient reported to Dr. Rogoff with a failing upper bridge, which was also quite unaesthetic. 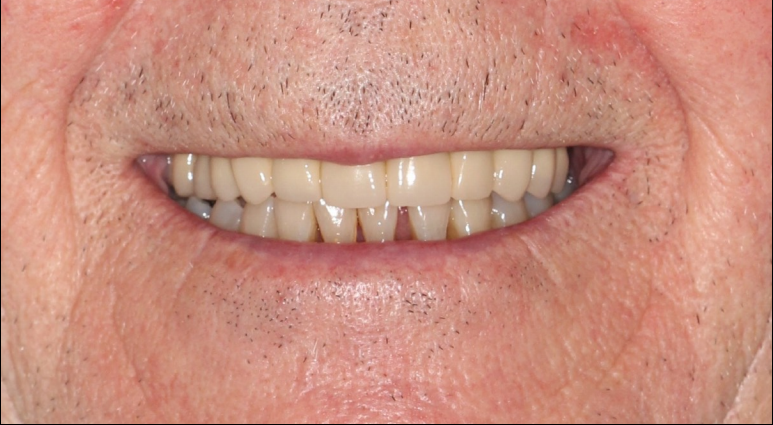 He was treated with six porcelain crowns and an upper removable partial denture. He was quite pleased we were able to find a solution that was highly aesthetic and affordable.